Each year for the past thirty years, there has been a gathering of like minds pursuing a worthy cause. In the frosty winter air early on a Saturday morning, groups of designers descend upon disparate, and often times discarded and desolate locations throughout the Minneapolis/St. Paul metropolitan area. Many have just met each other the evening before during the opening night ceremony of the Search for Shelter (SFS) Design Charrette, adding to the tension and excitement of the situation. Each of the fifty volunteers is present at their unique location for one reason – to provide their architectural design abilities pro bono. As a program organized and sponsored by AIA Minnesota and the Minnesota Housing Authority Committee, no money will exchange hands over the two day design period. 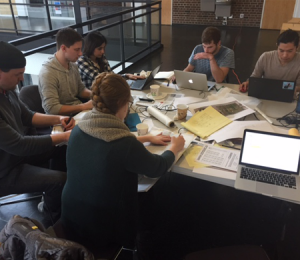 Instead, only ideas will be exchanged deep into the night on the terraces of Ralph Rapson Hall on the campus of the University of Minnesota. These ideas are centered on the common goal to do a small bit of good for others. This small bit of good might be in the form of designing a new affordable housing complex for Twin Cities Habitat for Humanity. It might be accomplished by working with a neighborhood development corporation to envision ways to make a neglected plot of land into a community space accessible to all citizens. Or, it might be accomplished by assisting The Salvation Army to redesign the layout of their downtown Minneapolis temporary housing facility, a building located at the confluence of multiple state and interstate highways on a site that is not pedestrian friendly. Each of the above examples are projects that various volunteer designers have taken part in during the past two years I’ve had the privilege of participating in the SFS Design Charrette. No matter whom it might be, from Catholic charity organizations to women’s advocacy groups, the SFS Design Charrette is intended to provide thoughtful, creative and unique architectural designs to those in need. The AIA Minnesota and the Minnesota Housing Authority Committee seek to give every agency, regardless of their monetary situation, the opportunity to receive design services. There is an increasingly high demand for volunteer design services due to the rising population that cannot afford to pay the typical fee for design services and it is the goal of the AIA Minnesota and the Minnesota Housing Advocacy Committee to meet this need. 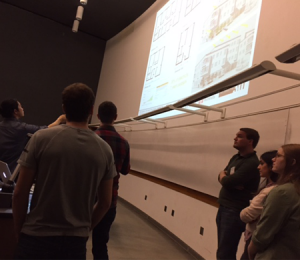 The SFS Design Charrette is one way for a designer to give back. Yet, as displayed in recent blog posts, HTK Architects has discovered multiple means to offer our time and abilities in this worthy cause to give back to communities in need. By doing our part in providing a small bit of good, we can continue to learn through the act of giving and serving our profession and the people around us.